This piece appeared in The Big Issue UK in February 2014. Matt Zarb-Cousin, a 23-year-old from Essex, shows me how they work. Unlike the old fruit machines, there is no £2 cap per play. You can bet up to £100 every 20 seconds. Matt is a former FOBT addict who gave up three years ago after accumulating debts of £16,000. “It must seem stupid but these machines can take over your life,” he says. “Everything else in your life seems boring. Flat. My body would crave the quick, repetitive rush these things give you. Matt is now campaigning with the group Stop the FOBTs to highlight the speed of losses on the high street (“it’s casino gambling but five times as fast”) and to try to force restrictions on the industry. It won’t be easy. The profit generated by FOBTs has now reached more than £1.4bn a year. Approximately 50 per cent of the profits made by high-street bookies now come from the 33,000 FOBTs across Britain. The Labour Party want tighter controls on the high-speed machines by increasing the time between bets and by giving councils the power to limit the number in each betting shop. The Prime Minister has said he’d rather wait for a key report later this year before taking any action. Adrian Parkinson, formerly a senior manager at several national bookmakers, saw the impact on the industry as bosses began to understand the risk-free, profit-making potential of FOBTs. “I hate these things,” he says. “I absolutely hate what they’ve done. Betting was always about knowledge – knowing a lot about a horse to try to beat the bookmaker, the bookmaker changing the prices to cover potential losses, the punter trying to get the best of the prices. Welcome to 21st century gambling. Odds calculated by computer programmes so companies can eliminate risk. Casino apps that let you throw money away on the bus home. Women in bed with their iPads losing thousands to online bingo. Ray Winstone popping up on TV to nod toward in-play flutters. Family finances wiped out without cash physically changing hands. Problems cannot be completely hidden, however. Here in the east London borough of Newham (where there are 84 FOBT-happy bookmakers), councillors are concerned at how closely the borough crime map overlaps with the locations of betting shops. Matt Zarb-Cousin says relatively few incidents are actually reported, lest the bookies alert the authorities to the extent of the miserable, destructive rages FOBT losses can fuel. Owen Baily was a compulsive gambler for more than a decade. Today he works for Marks and Spencer and is “enjoying normal life again”. He kicked his FOBTs habit last year following intense counselling sessions at a residential rehab centre. Owen’s story raises some intriguing questions. What makes a gambler? Are some people prone to self-destruction? How much are they to blame for their own problems? “My mum was a barmaid and from a young age I remember seeing the fruit machines as a fun thing to do,” says Owen. “I actually met my dad – who was a compulsive gambler – for the very first time on Grand National Day, when I was 14 years old. He explained how form worked. It set something in stone. I saw gambling as the way I was going to earn my money. The “system” is one of gamblers’ great delusions: a terrible trick they play on themselves. “One of the other worst things that can happen is getting a big win,” says Owen. “I once walked out of a casino with £5,500 shortly before Christmas. It felt great but it just fuelled my desire to go back. But where does that underlying urge come from? “It becomes so that you can’t imagine life without it,” he says. “If you take gambling away, what have I got in my life? No relationships, no interests. Really, under-lying everything, I was just very unhappy. I had a difficult upbringing and gambling became what I did to build myself up somehow – make myself a winner in life. Of course, it didn’t work. Why is it that perfectly smart people keep doing something they know will make everything worse? Adrian Scarfe, a head consultant at the support organisation GamCare, tries to explain the nature of the addiction he helps treat. “When you’re hooked you can disassociate from the real world very easily and get locked into this cycle of anticipation, buzz, adrenalin rush. There is a release of serotonin and dopamine – they give you a high. When it’s over, there is that flat feeling. It makes it damn difficult to stop. If we’re bringing Freud into the equation, you might think this is not really a social problem. How can society regulate for stuff that belongs on therapists’ couches? Yet the last British Gambling Prevalence Survey in 2010 showed that problem gambling in the UK had increased by 50 per cent in three years. 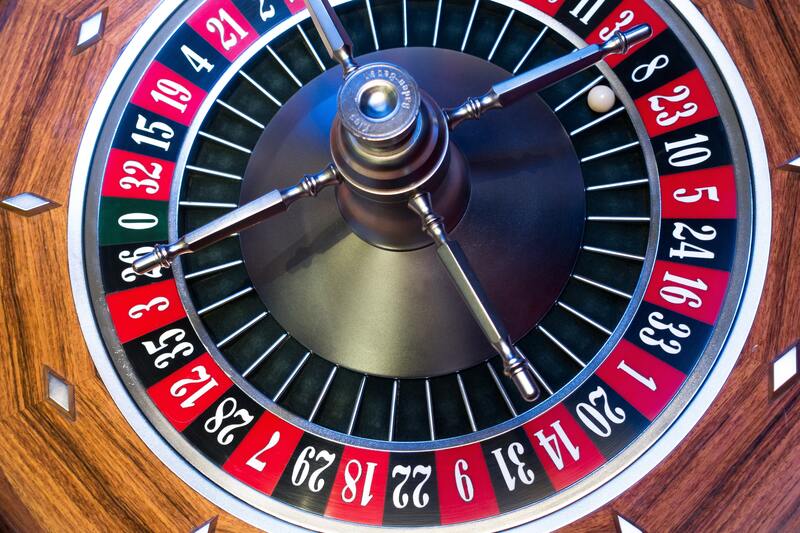 Like the FOBTs, the rise of online gambling – UK takings are thought to be £2bn – is remarkable and worrying. The internet has become the quickest and easiest outlet for the urge, and is ensnaring women at a faster rate than men. Half of all women callers to their helplines (up from 44 per cent on the previous year’s figures) had problems with internet gambling compared with a third of men. Every week, new bingo and lotto sites arrive – awash in neon pink and fluffy animals – as the gaming industry tries to capitalise on the dressing-gown gambler market. Some offer tips on hosting “online bingo parties”, spurious guides to non-existent pyjama parties involving friends bringing round their laptops. The reality of web gaming is solitary, not social. Vicky Clark’s online addiction began with a 25p bet in May 2005, a Fantasy Five lotto game she saw as “my little treat”. She soon moved from digital bingo to web casino games with higher stakes. Before long she was clicking for bets of £100 a time. Vicky, 48, was forced to sell her Yorkshire hair-dressing business after accumulating £27,000 of debt. She now works in a hospital but was able to claim back £17,000 from one website that hadn’t included all the necessary warnings. Vicky wants better player protection, with each person forced to set a total weekly spend at the point they register on a site. “Why can’t there be reasonable maximum limits?” she asks. Justyn Larcombe is another recovering online gambler. The strange pull of betting websites took him by surprise and he remains shellshocked by how easily he lost it all. A former Army Major who served in Kosovo, Justyn was earning a six-figure salary as an insurance broker in the City of London. “It’s very weird because I hadn’t placed a bet until I was 40 years old,” he explains. “I was doing very, very well in financial services, lovely wife and children. I still wonder: where the hell did it come from? I think I was bored. I had started to work from home, felt a bit bored one day and put £5 on the rugby and unfortunately it won. I had to sell the house and by the time my wife had left me I was still selling the furniture“I thought, this is good… this could be a little hobby. In the second year I began chasing my losses more frantically. By the third year I was hopelessly addicted to online casino stuff. At one point I worked out I had squandered £750,000 and had 15 different payday loans. I had to sell the house and by the time my wife had left me I was still selling the furniture. But why? Why put so much at risk unnecessarily? “I went from a high-pressure, high-adrenaline job to one where I could ease off a bit,” he says. “So I probably needed some replacement for the buzz – some reassurance that I could get things right. It’s that rush of controlling a lot of things at once. I was someone sought after in the City, puffed up with my own importance. “Regardless of how much money you have, you want your importance constantly reaffirmed. Somehow I needed that again. Ending up with one bin liner and coming back to live at my mum’s house, I was humiliated. I had to be humiliated to get rid of all that self-importance.